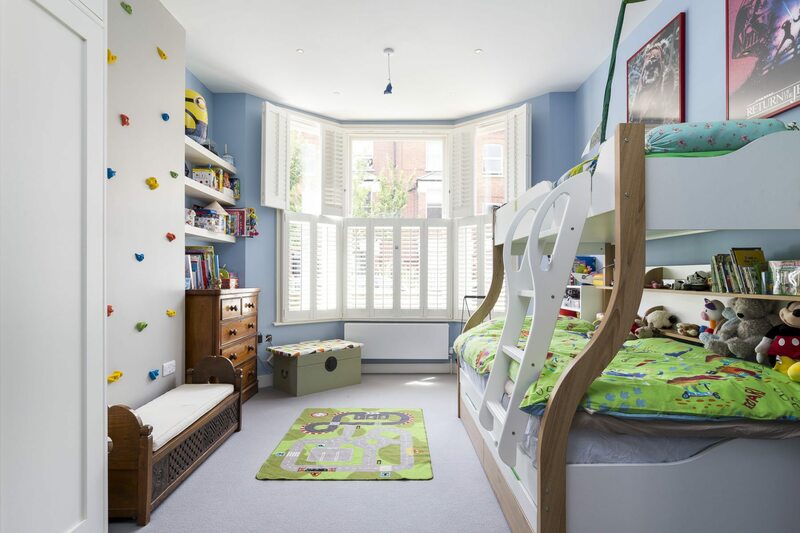 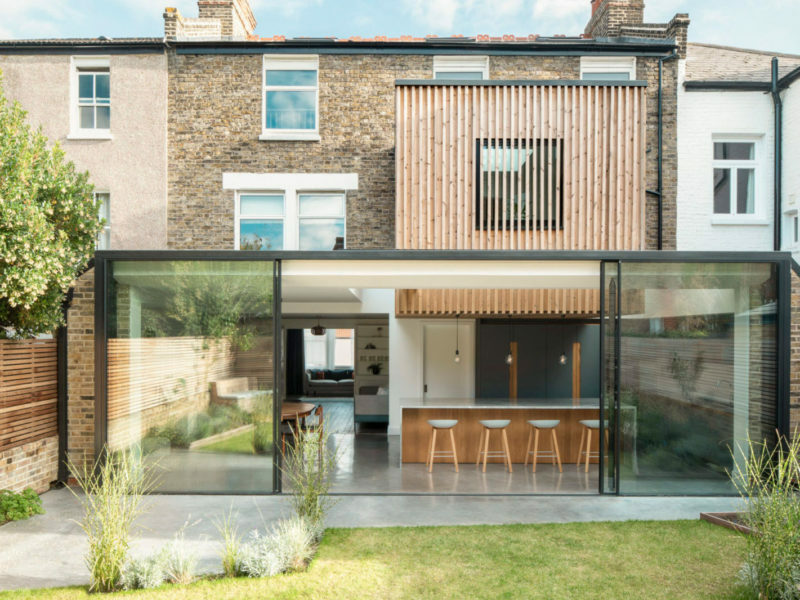 Major renovation of two London flats creates the ultimate in open-plan. 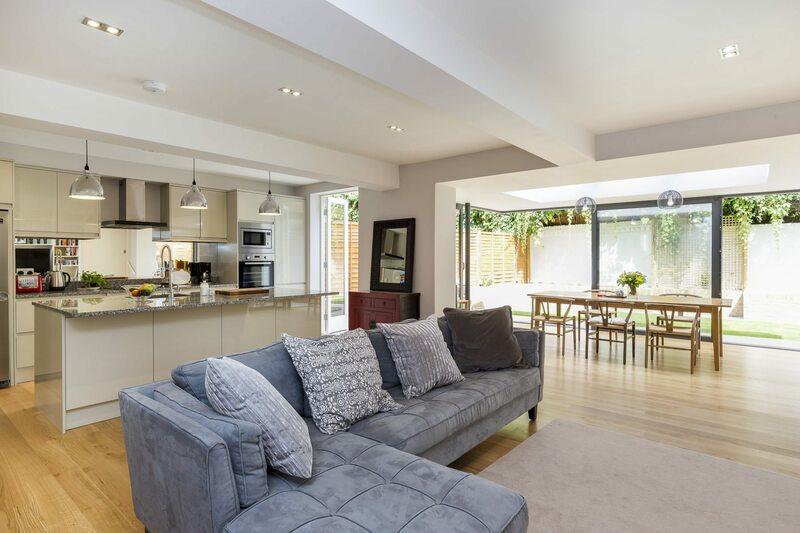 Our client, having previously emigrated to China, returned to the UK in search of a property which would give them the open lateral living space they had become accustomed to in the Far East. 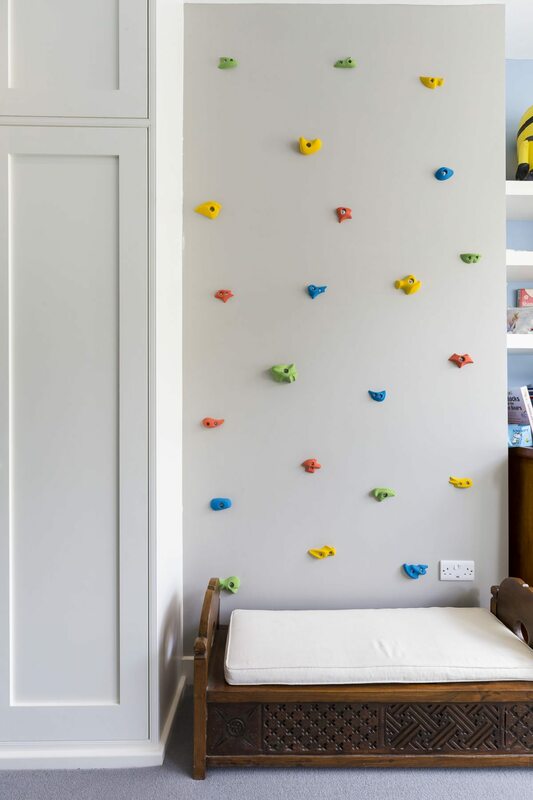 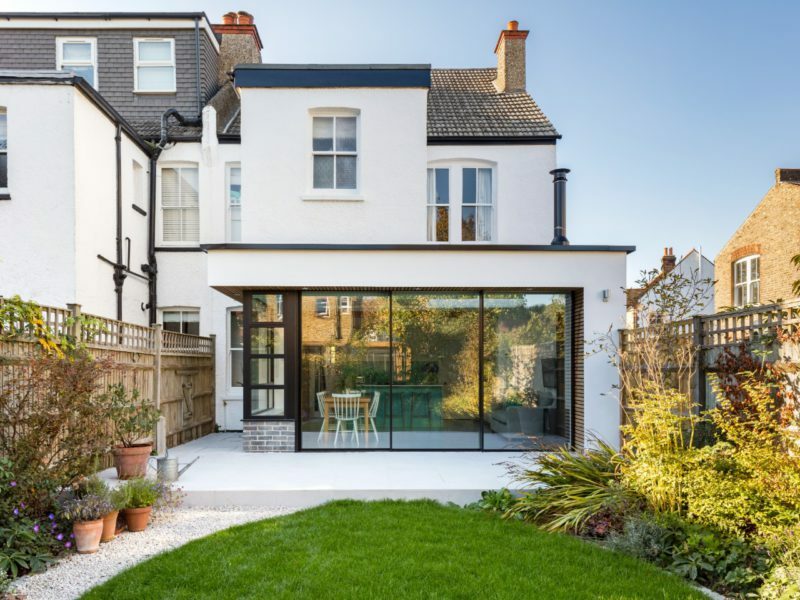 Having held on to their London flat in their absence, when the next door flat came up for sale they bought it and decided to knock through to create one open-plan residence. 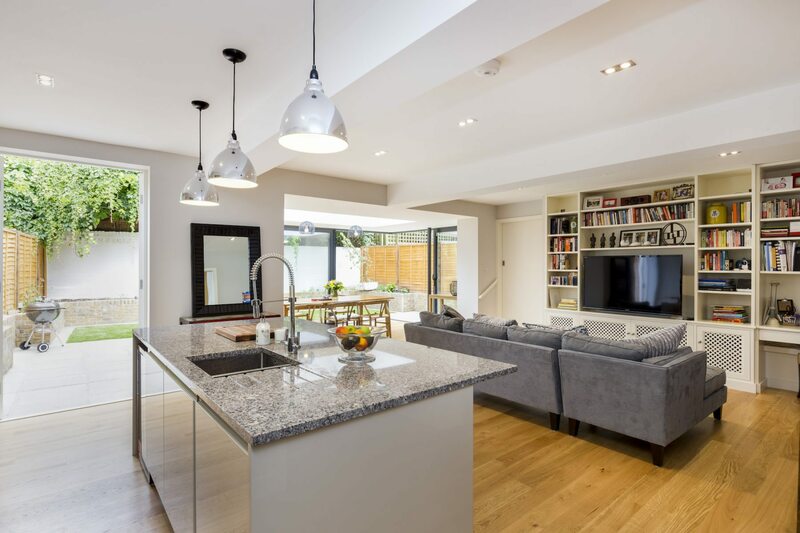 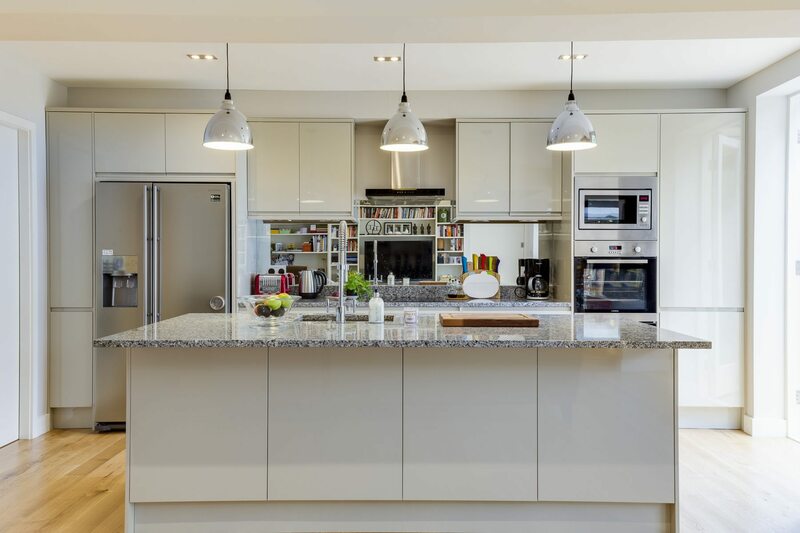 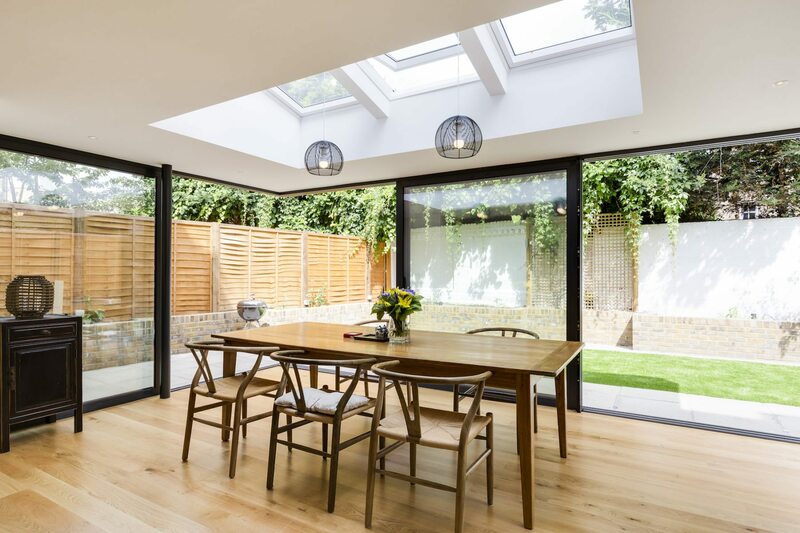 The team at Orchestrate undertook a stunning renovation, constructing a light filled living space by removing the main party wall between the two properties to create a seamless open plan kitchen/diner. 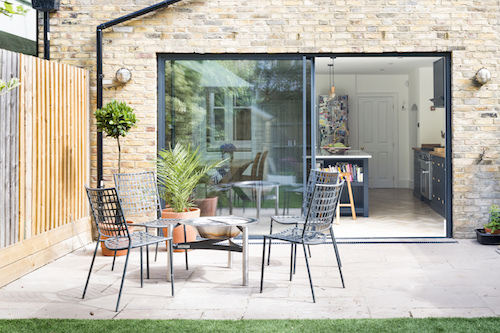 A sliding glass-walled extension was incorporated to serve as the main dining area with the rear exterior of the two flats cleared and levelled to create an impressive double width garden. 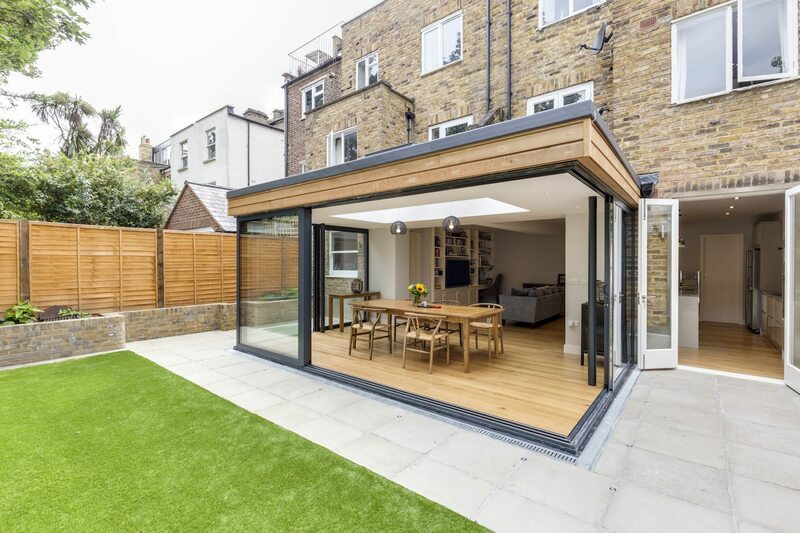 Project highlights: The glass-walled extension with floating roof, double width open-plan living space, children’s climbing wall. 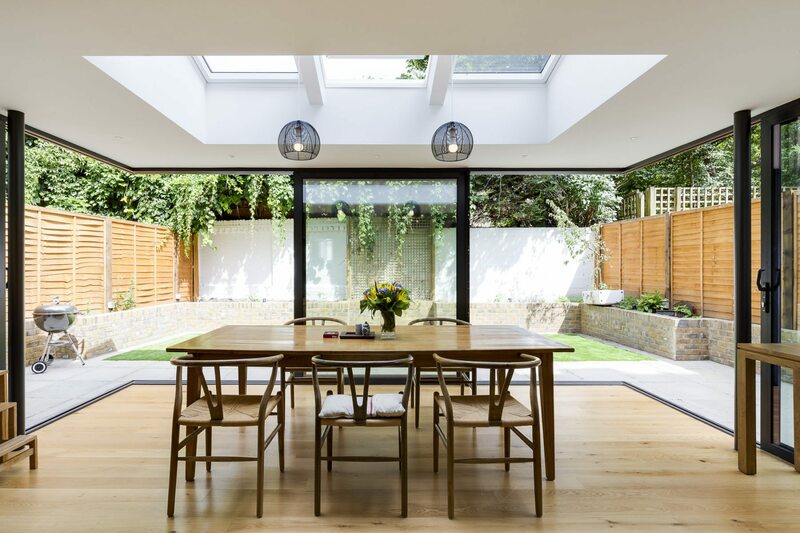 Worked with: Emma Farquharson (Design), SJ Associates (Engineering) and John Spaans (QS).